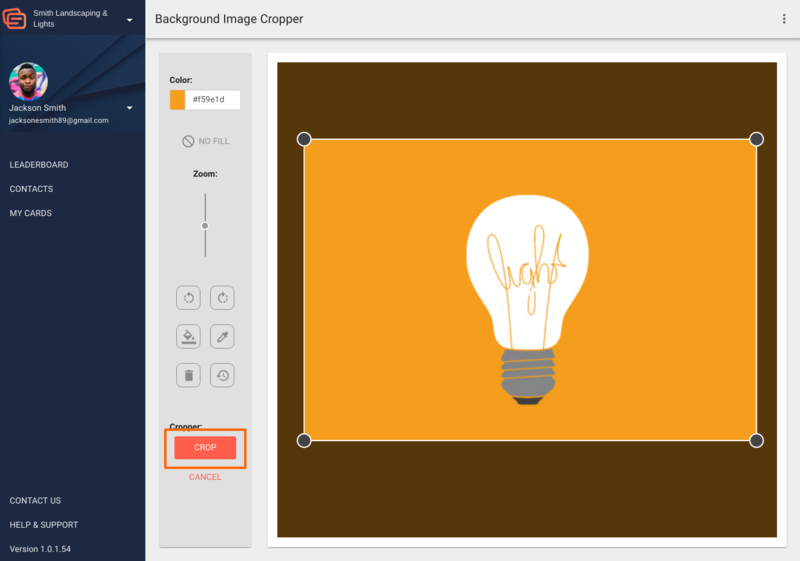 Inigo team subscribers can use the desktop editor to edit and design cards on a desktop. Not an Inigo team subscriber? It's not just for organizations, individuals can benefit from additional features at the same low price! Learn how to set up Inigo Team here. 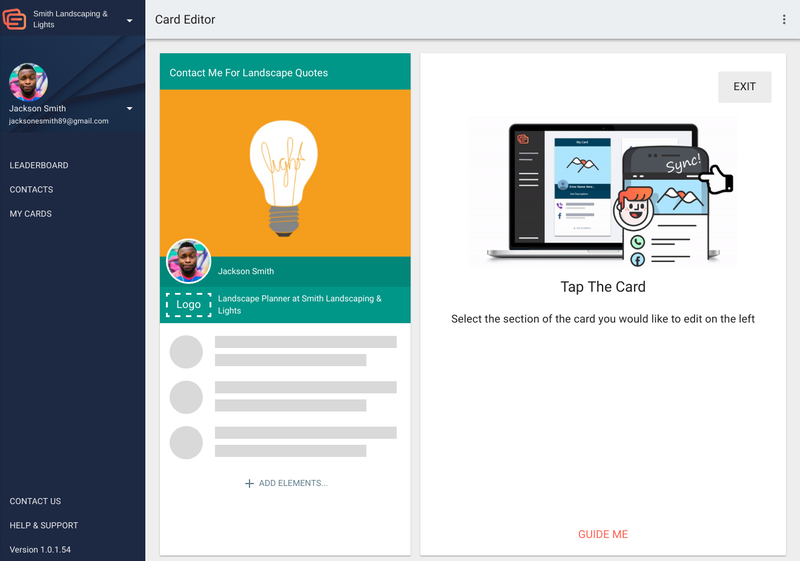 To edit a card in the desktop editor, you must first create a card in the application. To do this, please visit the My Cards page, click the Add button in the bottom right-hand corner. 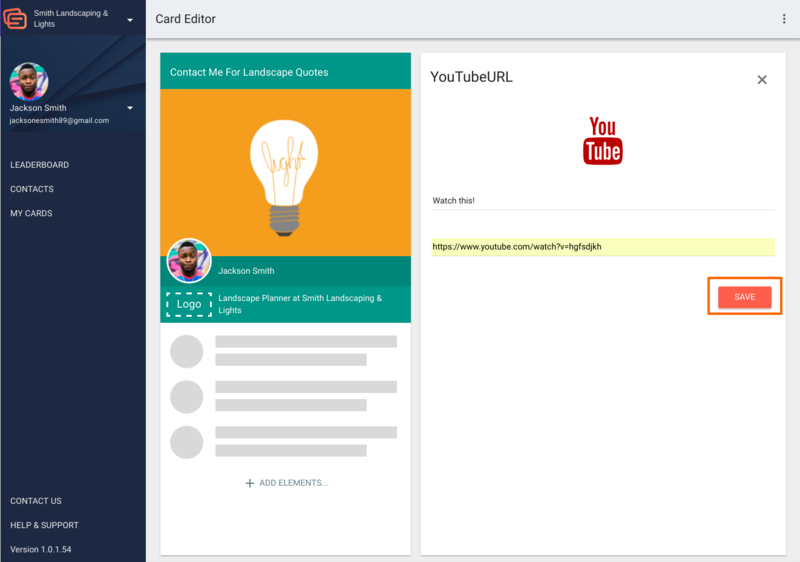 Add a title and follow the steps to setting up your new card. Once you finish, it will appear on your cards page. 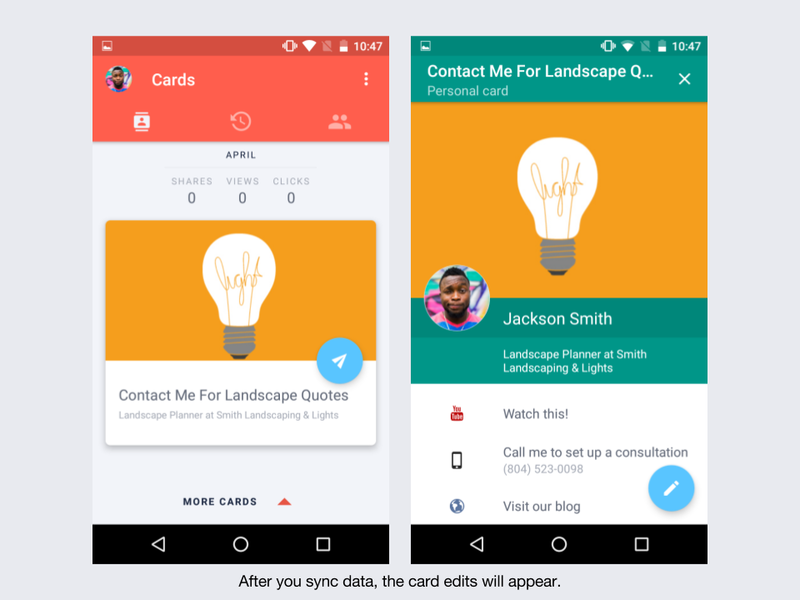 Sync the app by clicking the three small dots in the top right-hand corner of the My Cards page, and select "Sync." After a load screen, your App and Team account will be synced. 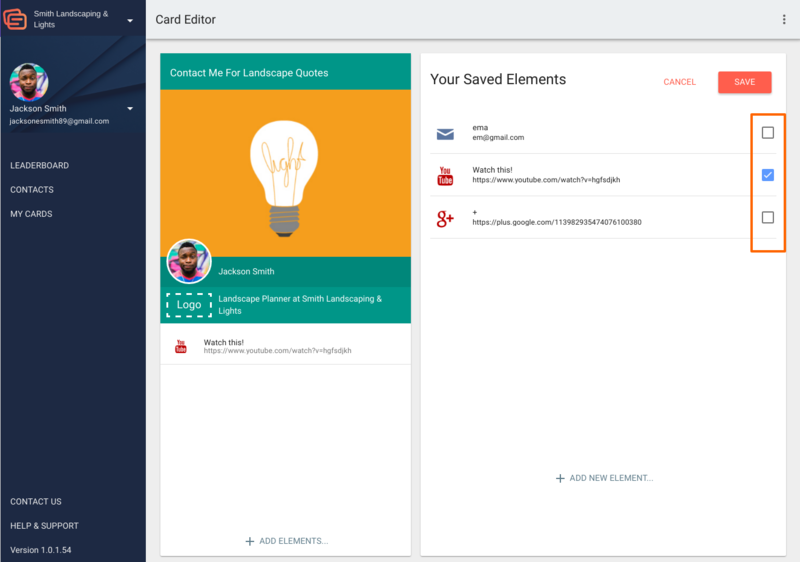 On the Inigo Team page, select "my cards" to view your personal cards and team card templates. 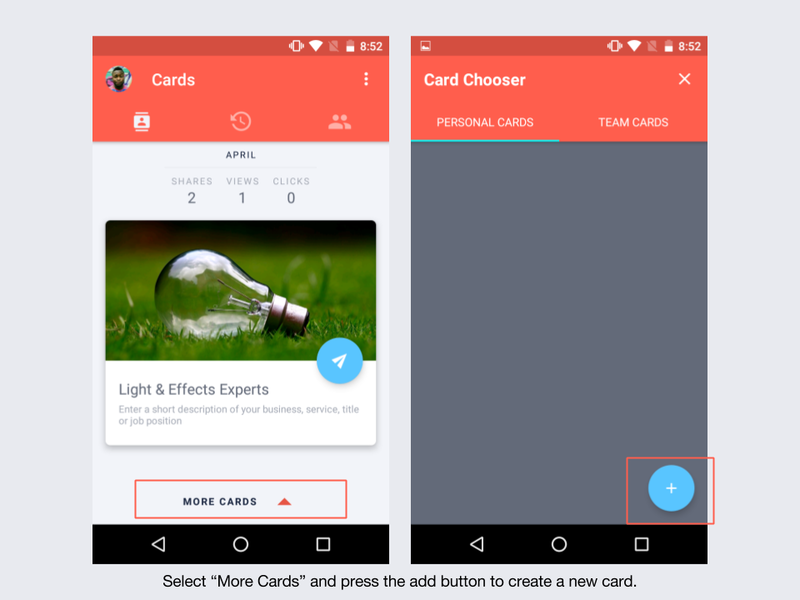 Cards that you created in the app will be under personal cards, and team template cards will be under the organization or subteam that they were created under. To edit a card, double click or right click on the image to open it. 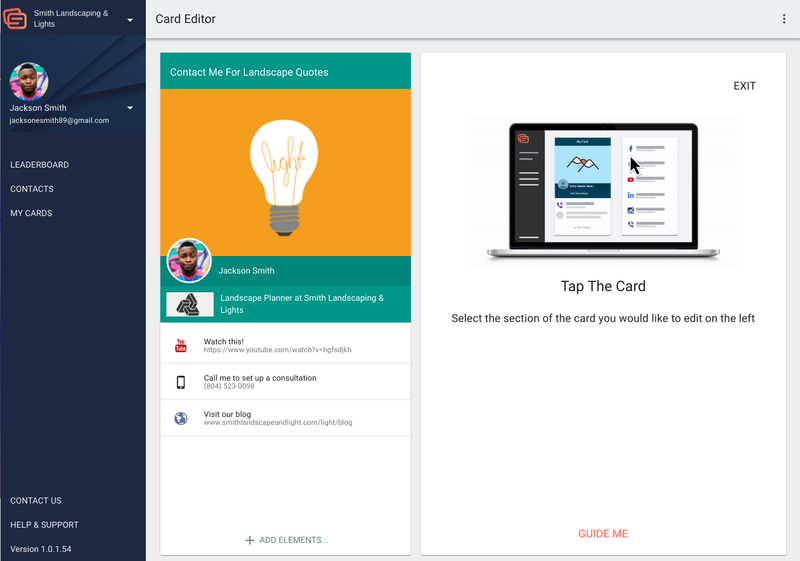 On the card editor page, you will see the card as it appears in the app on the left. Some of the details on this app may be "locked" by the team owner, meaning that they wished to maintain those elements on the template and that you cannot edit them. 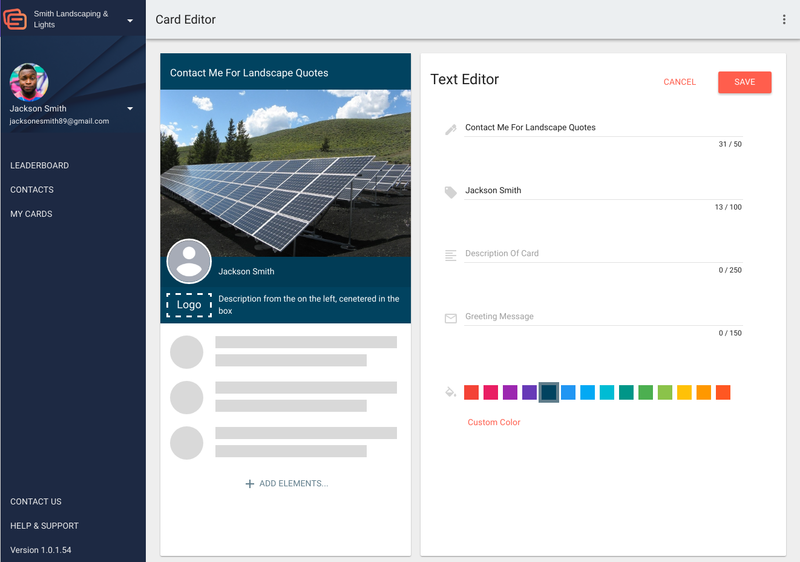 When you are using the card editor, a message will appear if you cannot edit a field. 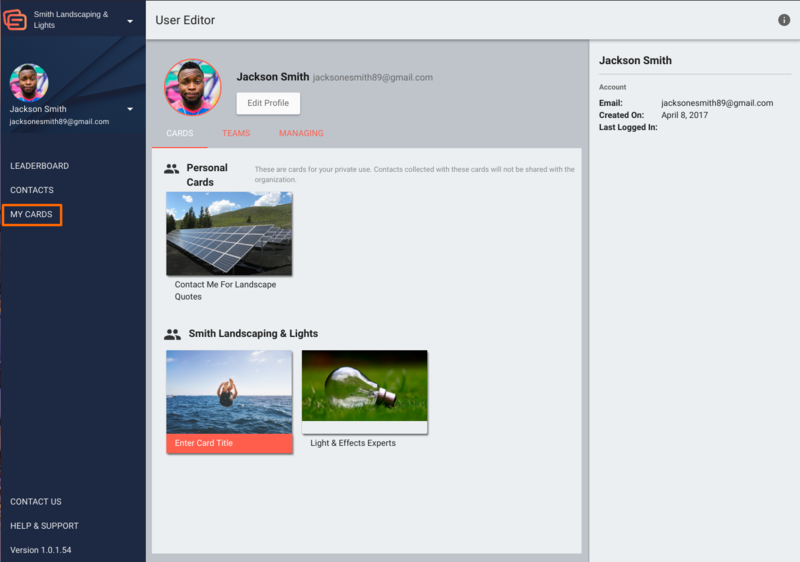 In the card editor, you can select the details on the left to edit them on your card. Select your name, card description, or card title to edit those fields. You will also be able to change your card background color and greeting message at this time. When you are done editing these fields, click save in the top right-hand corner. 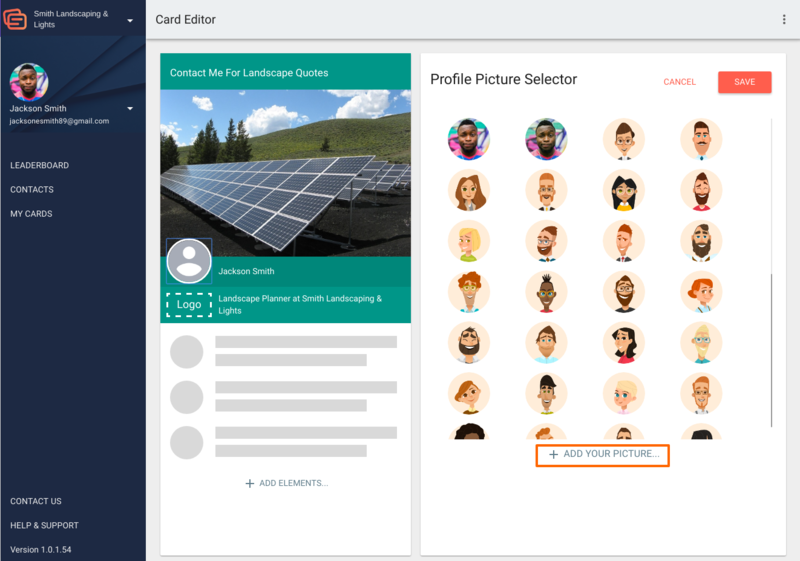 Select the card avatar in order to add an image. You can choose from an existing avatar or click "Add your picture" to upload your own. 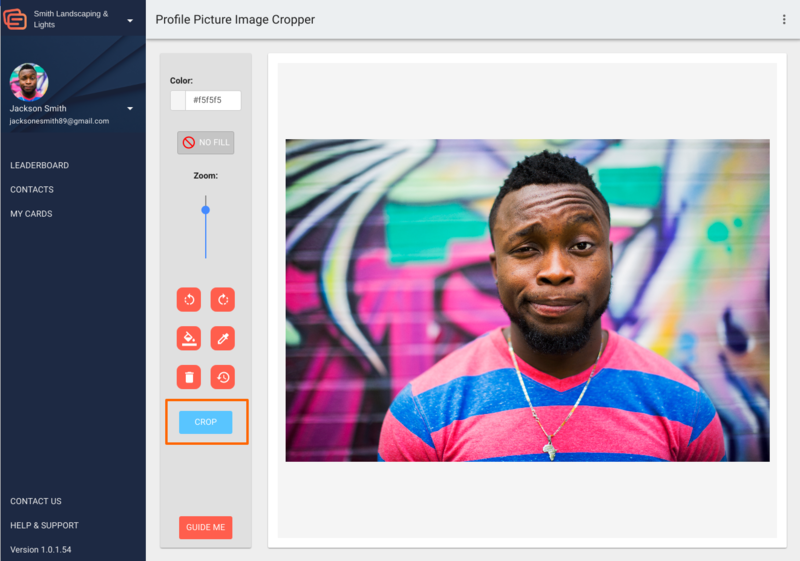 On the next screen, you can upload an image and crop it to select the area that you would like to use. Click "crop" to continue. After you select the area that you would like to use, click "crop" again. If the image appears as you would like it to on your card, click "ok, save" to continue. 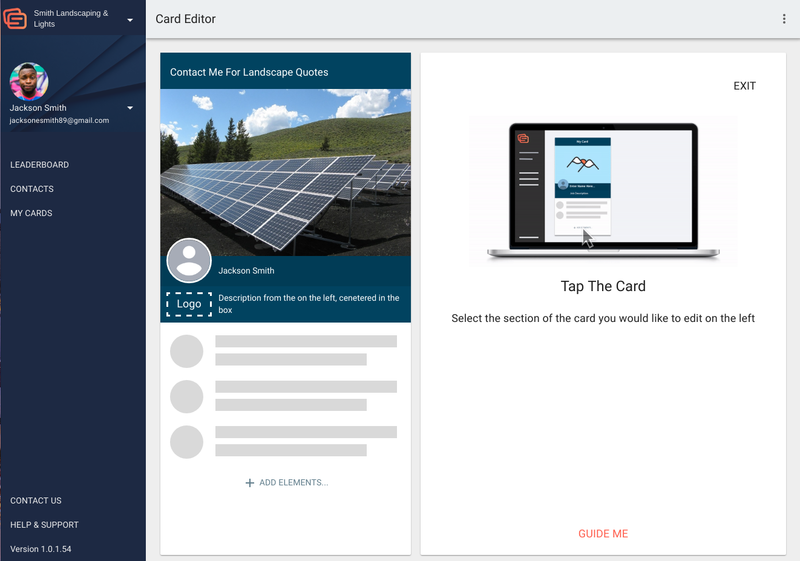 You will return to the card editor, and your new image will be placed on your card. Click the background image on the left side of the screen in order to edit it. 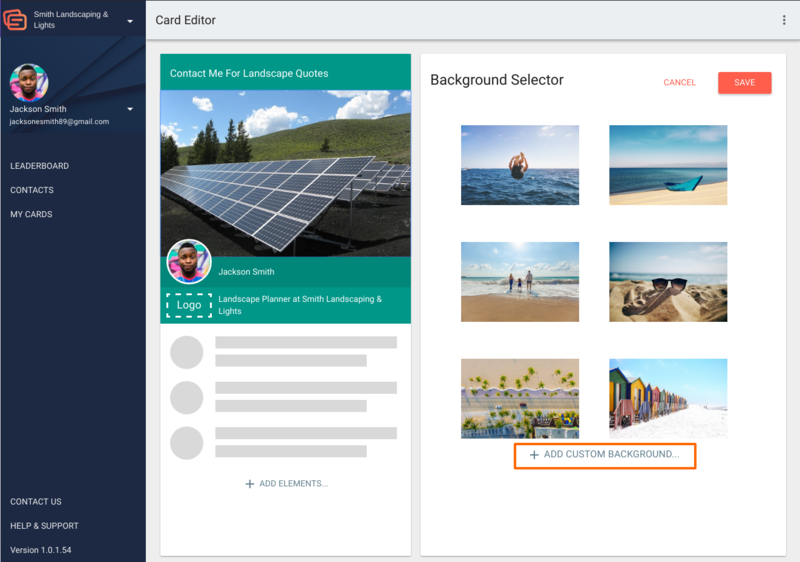 You can select from a pre-loaded image from within the card editor, or click "Add custom background" to upload your own. 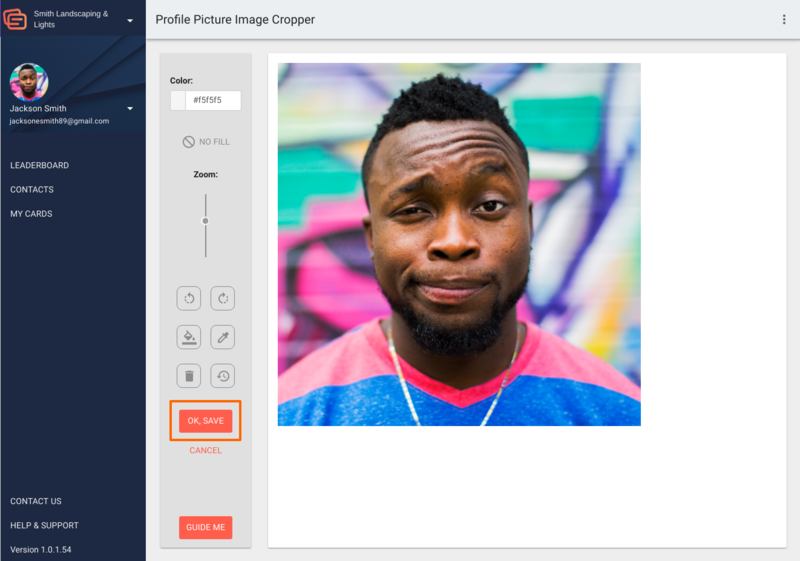 On the next screen, you can upload an image and crop it to select the area that you would like to use. In this case, I am going to upload a logo to use as my background image. To make the image fit within the frame correctly, I will also use the color grabber and fill tools. To learn more about using these, please watch this video. After you select the area that you would like to use, click "crop" again. Click "ok, save" and the background editor will close. Now your image should be placed on the background of your card. View this guide if you would like more information on adding custom backgrounds. You can click on pre-existing elements to edit them, or click "add elements" in order to create new elements. Saved elements will appear on the right side of the screen now, and can be easily added to the card. Remember that these may be shared elements within the team account, so make sure that they are useful for you before they are put on your card. Click "add new elements" on the bottom of this screen to add new elements. There are over 20 types of elements that you can add, and even more ways that you can use them. Select an element to edit the information, and click save to add it to your card. If you would like to remove an element, click the checkbox to the right of the element. Usually, a team account owner will place a logo on a card template. 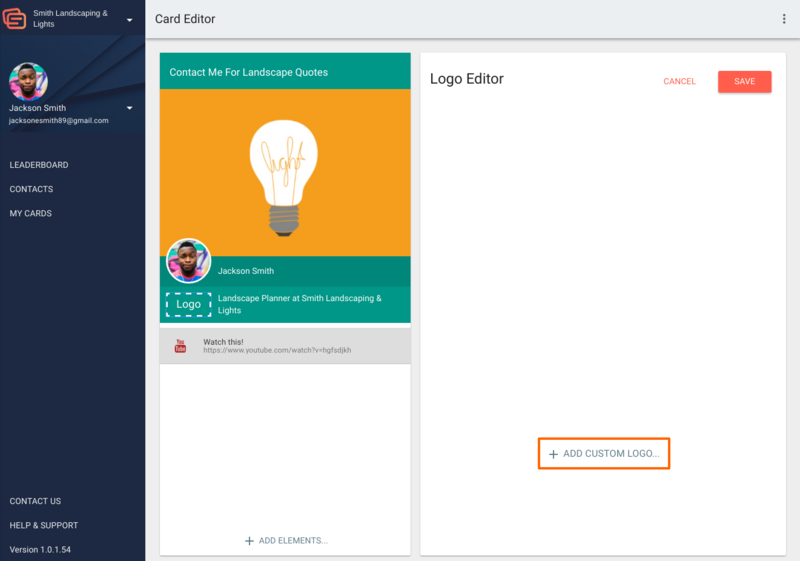 If you would like to add your own, click the logo box on the left side of the card editing screen. 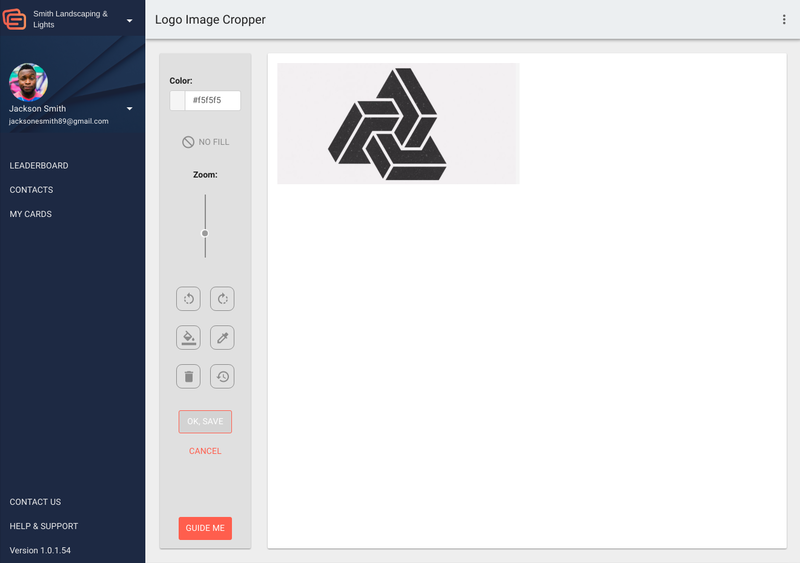 Click "add a custom logo" to open the logo editing screen. The next page will allow you to upload a logo image. You can crop it just as you did with your profile picture and background. Click "ok, save" when you are done editing. TIP: Remember to follow the steps in this video to crop the image correctly if it does not fit within the frame. 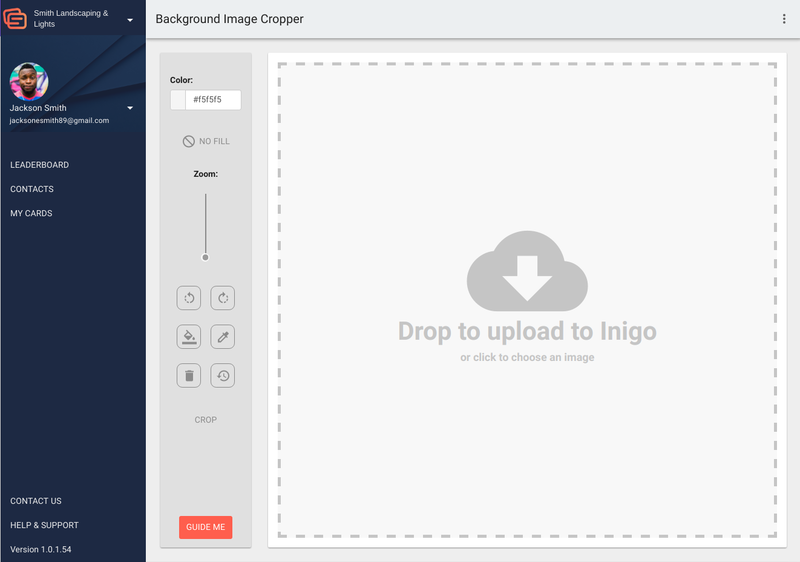 To see your card edits on the Inigo application, you will need to sync the application. 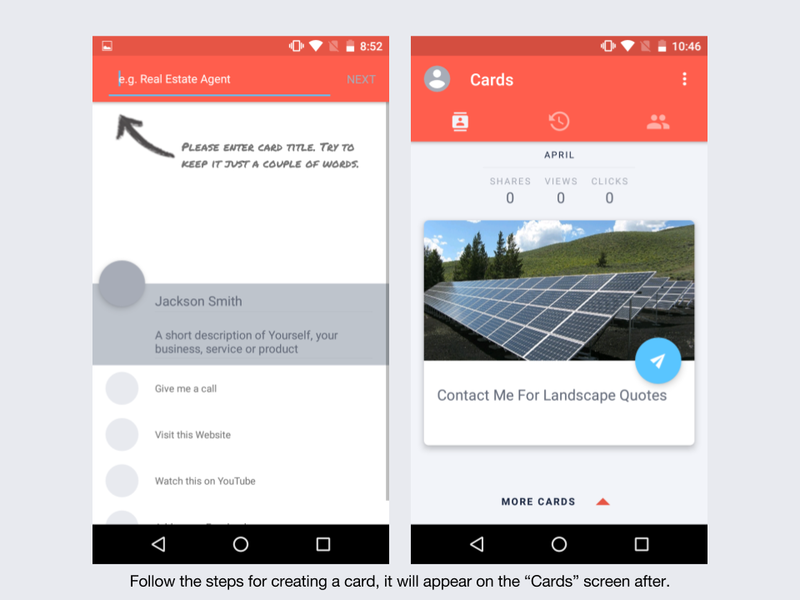 To do this, visit the "My cards" page on the app and click the three dots in the top right-hand corner. 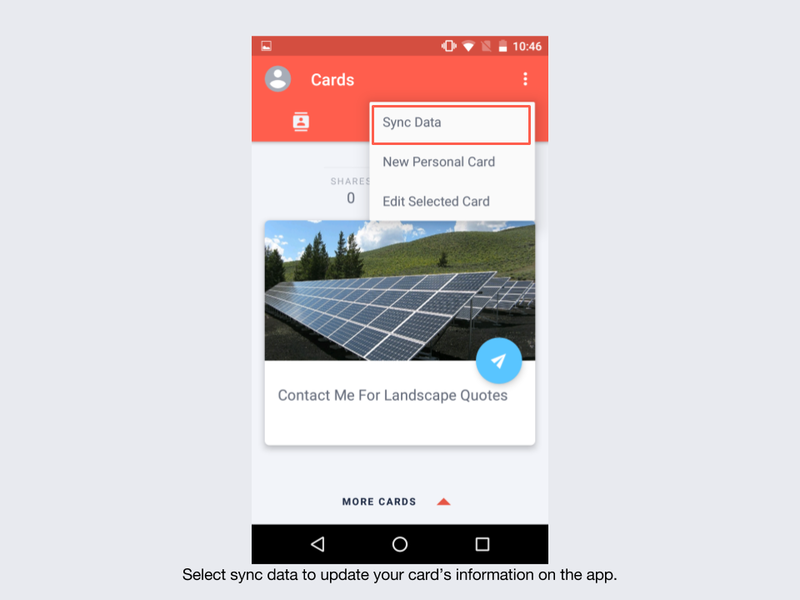 Select "sync data" to sync your application with your Inigo team account. Now you can see the edits that you have made on the desktop editor. The Inigo Team account owner may have locked certain details on card templates so that they are not able to be changed. A message will appear if this is the case.